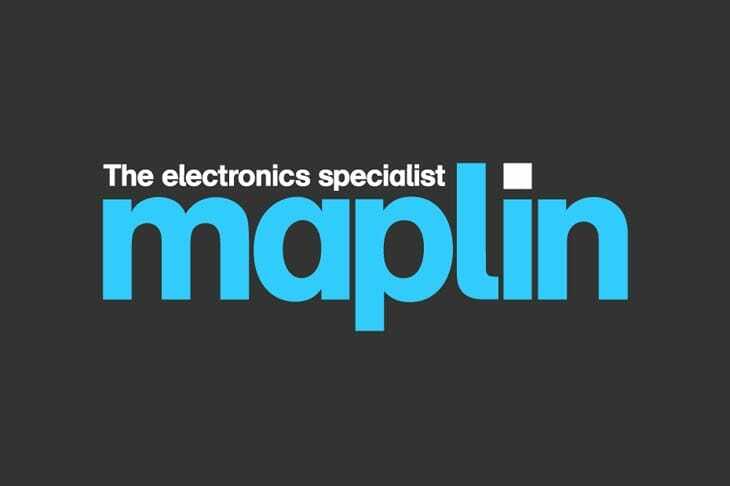 When shopping for new audio equipment, CCTV, home electrical gear, computer hardware, and thousands of other items it’s Maplin that will be the first stop for many. Black Friday in the UK is growing each year, so this isn’t just a USA sale weekend anymore. The latest tech products will receive their biggest discounts in November each year, right after Thanksgiving in the United States. You can count on Maplin delivering lower UK prices and the best deals when Black Friday arrives. You can connect with the store directly, follow weekly deals and clearance offers, or bookmark us for the featured discounts as they arrive each year. Both the Black Friday UK community and our editors will feature the latest offerings below. Maplin will list all their Black Friday offers via this page on the official website. Save half price on the Miroir MP25 Micro Pocket Projector with HDMI now only £99.99. There is a Maplin free voucher online, this includes £5 off when you spend £40 and £10 off when you spend £80. The Black Friday deals will be in-store and online across the UK. Prices are going to be knocked right down. Maplin has updated its Black Friday page and confirm that the sale starts on Friday November 24th. The Maplin Black Friday hub page has not been updated yet, still waiting patiently for it. Maplin are selling different Parrot Bebop 2 Drones for only £499 reduced from £599, thats a lovely £100 saving. Maplin Black Friday dels may have ended but they do have a good sale on at the momenton toys, 15% off Nextbase Dash Cams and much more. Save £10 on the Google Chromecast, you also get one months free trial to Netflix. All this for £20 with Maplin, to find this just visit Maplin and you will see it under the Black Friday ad. Sorry Diane, didn’t see you comment. Look above at mine and that will explain. It works where by if you spend £50 you will get a £5 voucher and if you spend £100 you get £10. This is only valid from Nov 18 until Monday 28th 2016. Must be used next purchase between Tuesday 29th November 2016 and Tuesday 13th December 2016 inclusive. Minimum spend applies. How does the Maplin Black Friday Magic free voucher work? Reduced from £329.99 down to £229.99 is the Dyson DC39 Multifloor Bagless Vacuum Cleaner, which I have bought because my other vacuum died on me. £100 saving will do nicely. Save £50 on the kids 12V Ride-On Sports Coupe Car, now only £99.99, search code N52EF. The Maplin Black Friday Magic has started, so many deals to be had with cut prices to boot. Still no sign on the Maplin countdown for Black Friday, it does say the 2016 event is coming and thats all. Whilst you wait for the Maplin Black Friday sale to commence you may want to check out the Free Voucher offer, you can get £5 off when you spend £50 and £10 when you spend £100. Have fun. I have noticed that Maplin hasn’t yet updated its Black Friday hub page yet, they still say 2015. But they do say keep your eyes peeled for 2016 Black Friday event. Is Maplin taking part in the 2016 Black Friday sale? I am so loving the cool T4 Transforming Solar 4 in 1 Robotic Kit (code N33DP) priced at only £12.99 reduced from £15.99. This is funny because on the offers main page it says its been reduced from £23.99. You can now get 20% off all Garmin Drive sat navs over on Maplins website. Save £30 on this brilliant kids BMW i8 Ride On Car – now only £199.99 at Maplins. Search for code A48TJ. Buy the Roxio Game Capture HD Pro like I did and save a cool £40, it was £99.99 but now you only need to pay £59.99. The ride-on convertible car priced at only £99.99 from just under £170 is a great deal, cheers guys. I am after a new dash cam and really got my eye on the NextBase Duo 720p (Code: A42TX), but its like priced at £199.99 and that is just too expensive. I will wait until the Black Friday deals kick in and hopefully will see this product there. That is great news, deals for a whole week sounds good to me. I just got the Roxio Game Capture HD Pro for only £69.99, it was £99.99 which is a saving of £30, bargain. This year is going to be more organised than 2014, and with an increase of total UK shopping sales of 400% we can see 2015 doing very well. I will be watching this page very closely as Maplin do some great products. So happy to see more stores getting involved in Black Friday for the UK, especially in 2014 when the day must have been 300% more popular with people as well. I will be looking out for a Maplin Black Friday sale and hope to pickup something at a massive discount.